H H ow well do you think you know Chicago? It may be a concrete jungle on the surface, but that doesn’t mean it isn’t home to scenic pockets, surprises, and the occasional weirdness (in the good way) around every corner. All you need is a thirst for discovery and our adventure roadmap. Happy trails. 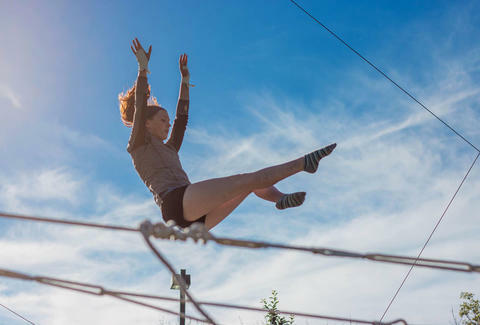 Whether you’re indoors at Broadway Armory or outdoors at Belmont Harbor, intensive flying and aerialist workshops await those who’ve always dreamed of running away to join the circus. Additional courses in trampoline (yes, there is a class for this) and tight-wire walking are also available. Wish we’d have known about this back when we were choosing our college electives. You might think Montrose Beach is packed on a typical summer weekend, but the more laid-back section of beach at Montrose Point is both a sand dune habitat and a bird sanctuary, as well as one of the best spots in the city for urban escape and trail hiking -- with killer skyline views to boot. If that’s not enough, there’s also a beach bar. And a damn fine beach bar at that. Double bonus? Jetski rentals. You may have wanted to do this ever since you last ended up in the middle seat, but now’s your chance to eject yourself from a plane at 14,000ft. Skydive Midwest, located just 10 miles off the shores of Lake Michigan, is the only skydiving outfit that overlooks the Chicago skyline. So now you can finally recreate that skydiving scene from Point Break, like you always dreamed. 1800 S. Blue Island Ave.
Chicago is chock-full of beautiful murals dotted throughout the city (and under highways), but your best bet for spotting the highest concentration of show-stopping street murals is a walking expedition through Pilsen, starting in the area around 18th & Blue Island and extending westward towards the National Museum of Mexican Art. Maybe stop for a punch bowl along the way. Don’t let your memories of beer-chugging bros at Castaways or a jam-packed North Avenue Beach during the Air & Water show sour your attitude toward Chicago’s beaches. 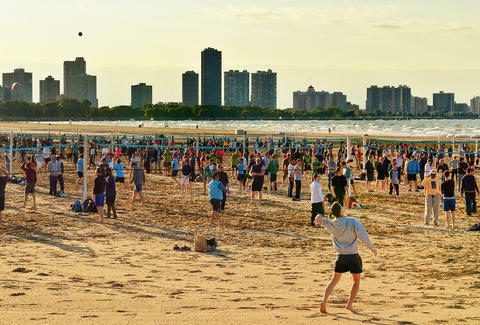 A total of 24 glorious beaches line the 28 miles of Chicago lakeshore -- which is probably about 20 more than you’ve ever been to. Check out hidden beaches like Marion Mahony if you know what’s good for you. You may not believe it as you sit swearing in traffic at Pulaski and Peterson, but just beyond your gray concrete box sprawls a beautiful 46-acre nature preserve. We’re talking trails that wind through woodland, wetland, prairie, and savannah. Chill at the birding area and spot rare specimens with your well-practiced/made-up bird calls. It sure beats the sound of cars honking. 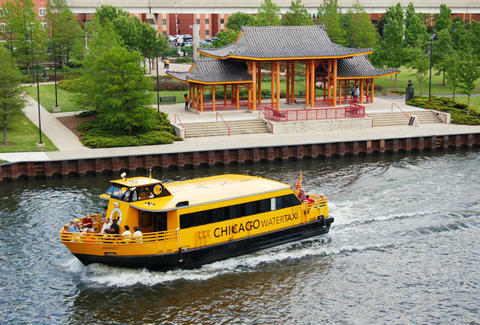 While booze cruising the lake or river downtown is not exactly a secret, the Chinatown Water Taxi is one of the most underutilized modes of transport in the city. Starting at the beautiful and equally off-the-beaten-path Ping Tom Memorial Park, it’s only $8 and drops you off at various Chinatown stops where you can let the restaurant aromas dictate your next move. While there are several spots you can rock climb indoors in Chicago, who the hell wants to rock climb indoors? 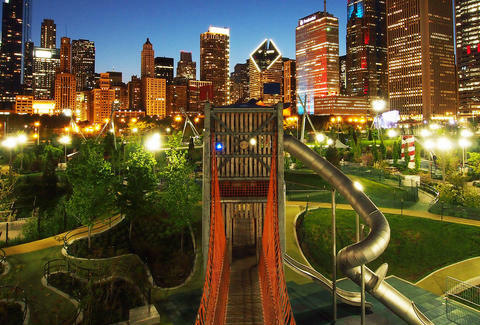 Luckily, the new Maggie Daley Park features two urban climbing structures that form Chicago’s first and only outdoor climbing park. At 40ft high with a total surface area of 19,000sq feet, there’s plenty of room for you and about 100 of your closest friends. Congratulations, you recently discovered that the mural on Damen across the street from Big Star is in fact the hidden entry to Violet Hour. But Chicago is also home to a members-only, 1920s-themed speakeasy that requires you speak an ever-changing password to a dude behind a small opening in the door. This you gotta see. 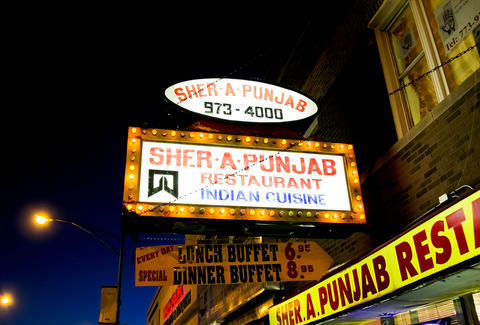 This Chicago neighborhood, known as “Little India,” may not be as well know as more popular Chicago food enclaves like Little Italy or Greektown, but it is still one of the largest (and coolest) communities of its kind in North America. The main drag unfurls in glorious color between Ravenswood and California, and you’re not gonna get better Indian street food this side of Mumbai. Wandering around trying to choose a spot is half the fun. High-adrenaline adventures soaring through beautiful forest canopy don’t have to entail a long road trip to Minnesota. They can, in fact, be had just 30 minutes west of the city, as zip line company Go Ape! has set up a course in the Beamis Woods of Western Springs, offering treetop adventure courses, zip lines, Tarzan swings, and giant rope nets. Your move. You might think you know the city like the back of your hand, but you can always find something new, unexpected, or plain weird (in the good way). 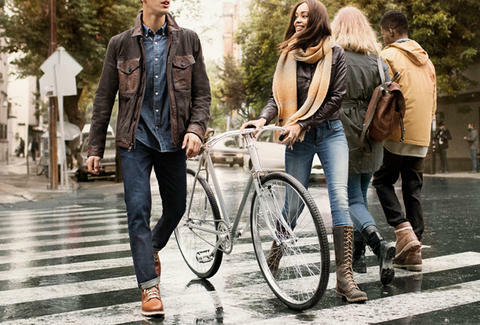 Turn any moment into an adventure, and dress for it with Timberland. What do $10 sushi rolls, beautiful historic movie theaters, the oldest Czechoslovakian restaurant in the country, and an archery bow range all have in common? They all exist west of Western Avenue, and none of them are in Logan Square. You just need to get off the couch and know where to look. 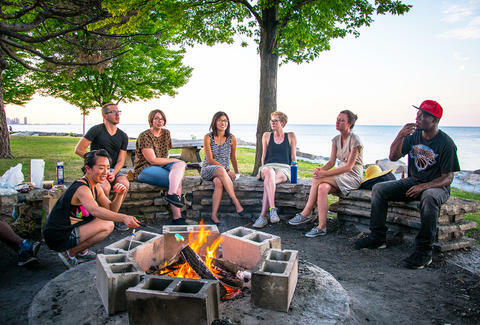 This stunning little peninsula in Burnham Park is made of limestone blocks, is accessible by the Lakefront Trail, and is one of the best places in the city to mutter to yourself something like “Hot damn” as you admire jaw-dropping views of the lake and skyline. It’s also kind of a secret, so don’t tell anyone, okay? When you think of Bridgeport, the first thing that comes to mind usually isn’t nature. And Palmisano Park (nicknamed “Mount Bridgeport” and formerly known as Stone Quarry) fits right in with a 27-acre site that has transformed from quarry to landfill to park. Cruise the crushed stone running path and peep the fishing pond and wetlands as you stroll the grass amidst preserved quarry walls, and think about how pre-quarry, this was once a coral reef. Wild. Everyone knows drinking in the sun at Wrigley is a rite of passage in Chicago, but did you also know there is a less raucous version known as “Little Cubs Field” hidden within Humboldt Park? With a lake-viewing boathouse (where you can fish), the Museum of Puerto Rican Arts, and a weird bronze bison statue, that’s not the only treasure you’ll unearth exploring the park’s 207 sprawling acres. Most known for past shows like Hizzoner and Point Break Live!, you never know what to expect at this nondescript little theatre off Elston. Instead of crowds and tourists à la Second City, you’ll feel like you’re in on a neighborhood secret as you check out left-field acts from one of the city’s finest spots for fringe theater. 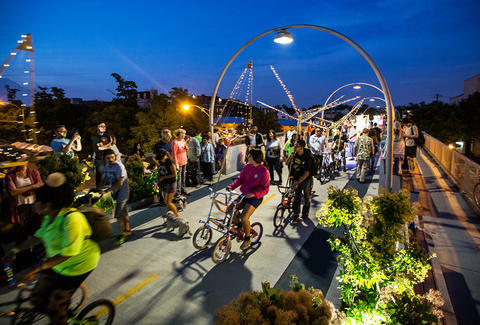 Lace up some comfy shoes and get ready to tackle The 606, Chicago’s elevated walking path modeled after NYC’s High Line. Exploring new sections of Bucktown, Logan Square, and Humboldt Park that you never knew existed. The 2.7-mile recreation path also provides a beautiful way to see the city in a whole new (and more chilled-out) light. And don’t forget the endless array of fine establishments for food and booze just off the trail. Because hiking is hard work, and you deserve a reward. The Art Institute and Field Museum are great and all, but if you’re looking for something different, the International Museum of Surgical Science awaits as North America’s only museum devoted to surgery. With exhibitions on everything from wound healing to synesthesia (a neurological phenomenon in which one sense perception elicits the response of another), it’ll totally freak you out. But in a good way. We think. Fresh out of 007-style secret disguises, spy glasses, and voice modulators? Then it might be time to pay a visit to the spy suppliers at Wicker Park Secret Agent Supply Co., formerly known as The Boring Store. This little shop is actually a front for the nonprofit 826 National writing workshop that teaches and encourages kids aged 6-18 to hone their creative writing skills. Double bonus: Secret Service earbuds. For those who can’t wait for the upcoming Leonardo DiCaprio book adaptation of The Devil In the White City, you can still visit the site where famed serial killer H.H. Holmes butchered dozens of victims during the 1893 World’s Fair in a hotel he built specifically for slaughter. These days it’s a post office and, while the original structure at 63rd and South Wallace has been torn down, try telling that to the ghosts. 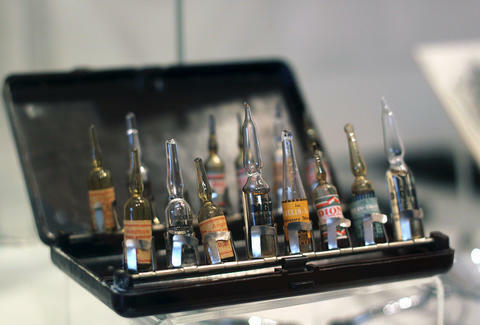 Jay Gentile is a Thrillist contributor and he never passes up an opportunity to get weird at a surgery museum. Follow @innerviewmag.